Intel today revealed some details about its upcoming processor lineup that will be introduced at next month’s Consumer Electronics Show (CES 2010). Intel will showcase 17 new processors at CES, which will include the new Core i3 and Core i5 processors. Both the processor lineup will be based on Nehalem microarchitecture and will be made using 32nm process technology. 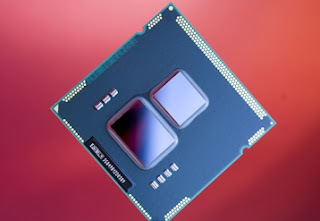 This will make the new processors smaller, faster and more power-efficient. iPhone has been the second best selling smartphone in US behind all the RIM handset combined for past two years. 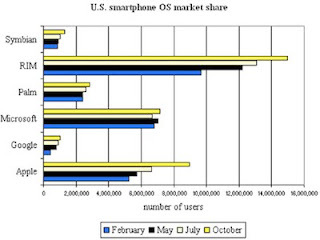 But now, according to the latest data from ComScore, iPhone OS’s active user base in the United States in October has surpassed Windows Mobile OS user base to capture second spot behind RIM in Smartphone OS market share in US.